Yes it was! Asbestos cement sheeting was commonly used in houses from the 1960’s right up until as late as 1993. Its strength and durability as well as is resilience against water damage made it the material of choice for bathroom walls and occasionally ceilings also. Many people don’t realise that a thicker version of asbestos cement board was used as a base for bathroom floors in 2 storey houses. This sheeting was up to 15mm thick and used as a floor base for tiling to be adhered too. When the asbestos is removed this floor sheet is often removed back to floor joists for new non asbestos containing flooring to be installed. 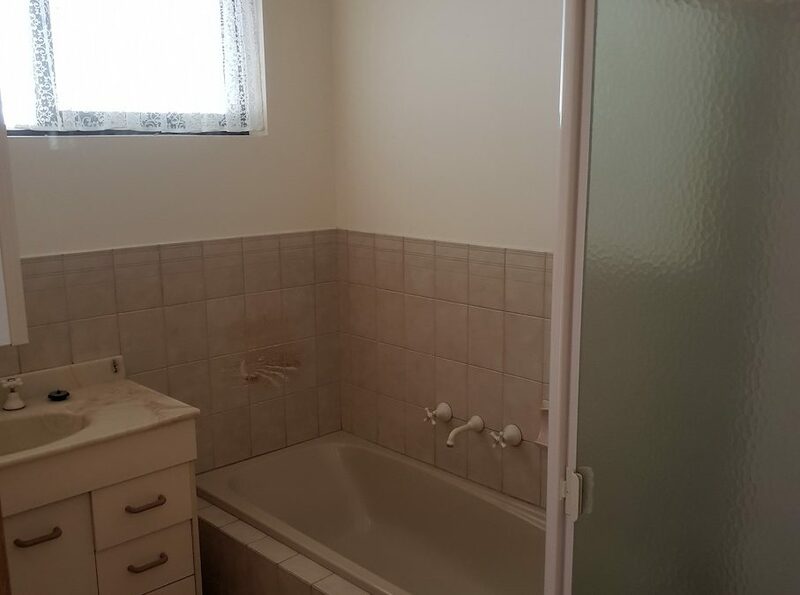 Not Sure If your Bathroom Contains Asbestos Containing Materials? 1. What construction type is the house? Brick veneer homes will be highly likely to contain asbestos cement sheeting in wet areas, whereas double brick homes are far less likely too. Double brick homes may have asbestos cement ceilings in wet areas. 2. When was the house built? If it was built prior to 1989 then it is highly like to have asbestos cement wall sheeting in at least the bathroom but likely to have asbestos cement walls in the laundry toilet and eaves also. 3. If the home was built between 1989 and 1993 then it is likely to contain asbestos containing materials, testing may be required. 4. What colour is the material in question? CAREFULLY undo and remove a power point or ceiling fan or vent. If the material is between 4 and 6mm thick and a mid grey colour (ie cement based) then leave it alone and get it tested or removed before proceeding with any work. Our experience is that the bathroom is the second most likely place to find asbestos containing material in your home. Take care and if concerned call South Adelaide Asbestos Removal on 8384 6300 for assistance.